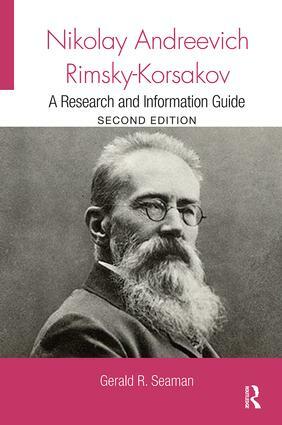 "This new edition will be of great utility to students and researchers undertaking study of the influential Russian composer. Summing Up: Highly recommended." Dr. Gerald Seaman currently teaches music at the Oxford University Department for Continuing Education. He is Assistant Editor of the IAML journal Fontes Artis Musicae and was formerly Professor of Musicology at the University of Auckland.